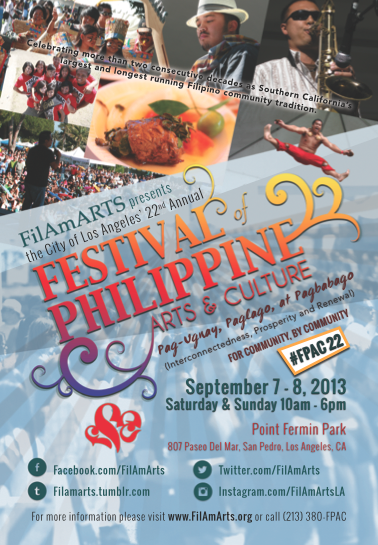 Festival of Philippine Arts and Culture (Philippine Expressions Bookshop’s Tent) — 12:00 – 4:00 p.m. Saturday, September 7, 2013, Point Fermin Park, San Pedro, CA | I am Flippish! 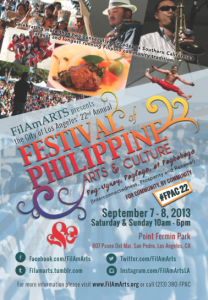 Come join me for a day of Filipino arts and culture. I will be signing my book “I am Flippish!” at the Philippine Expressions Booth from 12:00 p.m. to 4:00 p.m. See you there! This entry was posted in Book Signing and tagged Filipino Culture, hapa children's books, mestizo, mixed families, mixed race, mixed-heritage, multicultural children's books, multicultural family, socal events by Leslie V. Ryan. Bookmark the permalink.